Love it! At first I wondered if it were a statue, but I think that must be a real cowboy! That is a very cool shot Beth Ann… very cool. That is what boots should look like, that’s the real thing! Having a cowboy Dad, this photo brought back some fond memories. Thanks! Aw. Cool. Glad I could stir a few up for you today. First thing that popped into my mind – Texas. 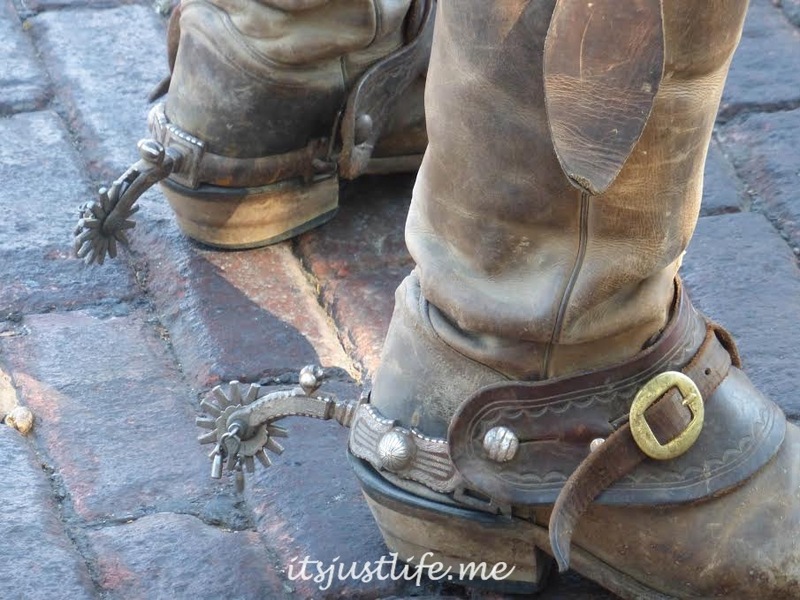 🙂 I’ve never actually seen anyone wear spurs on their boots before, even here where we have a lot of horses and farms around. It was Texas! Fort Worth to be exact! Good guess. You take interesting pictures. Have a great day. Great perspective on this photo. Thanks. I loved the spurs. Haha! He was a cowboy in a former life. Those are a working man’s boots. That shouts America to me. Thanks for another great “Wordless Wednesday”. The real deal. Very cool. Looking good Beth Ann – us Texans love our boots! I loved these boots—they were just the perfect Texan look. I don’t think these were quite my size but what fun it was to see all the cowboy boots being worn in Fort Worth. They put theirs to good use–not a fashion statement. Not sure I like the spurs because I deplore any type of cruelty to animals. I have a pair of my hubby’s old cowboy boots & they are the MOST comfortable footwear I have ever worn!